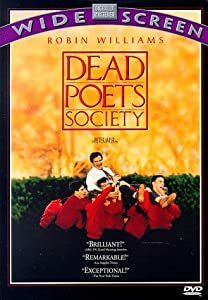 The film “Dead Poets Society” has become somewhat of an iconic film in Western culture. Years before YOLO (You Only Live Once), the much older Latin phrase carpe diem was briefly made popular again. Carpe Diem. “Seize The Day”. Welton, the boys-only boarding school depicted in this film is clearly focussed on hammering into their adolescent charges’ minds the fact that working hard at learning is the way to get ahead in life. To get anywhere in life. This is why Neil Perry’s father has sent him there (there are hints he has gone into debt to do so) and expects him to become a medical doctor. In Neil’s father’s mind, this is an honourable and high-paying profession, and likely one he couldn’t do himself. So he is giving his son every opportunity to, instead. But Neil doesn’t want to become a doctor. He wants to be an actor. His passion is not to earn a lot of money and be well off, but to explore the emotions of words and story-telling. And his father does not understand this. The story turns on this and similar conflicts. If you have studied story structure, you would be able to pick the First Plot Point right around the 25% mark. This is where Neil convinces his friends to re-create the Dead Poet’s Society that their new English teaching, Mr John Keating, was apparently a member of when he studied at the same school. Crucially, this is where Neil takes a positive step to acknowledge his own emotional needs. What makes your life interesting? What do you get up to that is exciting, different, strange? What do we let ourselves do to get away from the dull, ordinary, the boring? It might be a cliché to say that this is why some writers write. A writer can live vicariously through his characters. On a basic level, a character in a story can get up to things a writer cannot. Exotic, impossible things. Ride the Orient Express in the late 19th century? Fly a spaceship to the moons of Jupiter? Hunt a woolly mammoth? But they can also do less overt things. Like run for office in their city. Like solve an impossible murder mystery. Like defuse a long-forgotten bomb from World Word II. Or even more subtle things. Standing up to the boss’s boss even though it means instant dismissal. Asking that girl out in high school even if she’s already seeing someone. Probably. I would go so far to say that a writer must live vicariously through his characters.